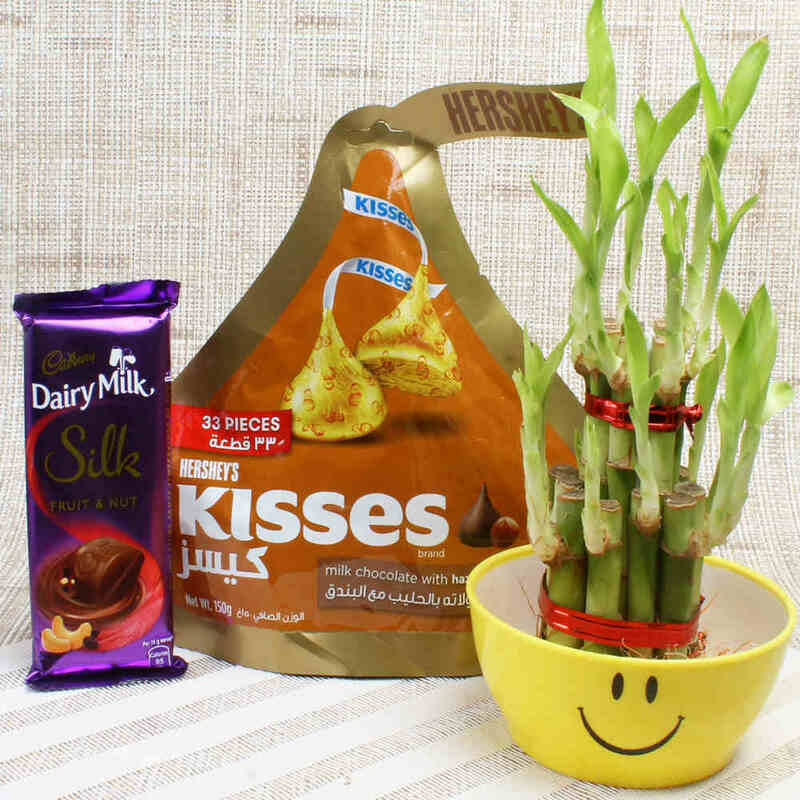 Product Consists: Hershey’s Kisses Chocolate (Weight: 150 gms), Cadbury Dairy Milk Silk Fruit n Nut Chocolate along with 2 layer Good Luck Bamboo Plant in a smiley Bowl. There are few candies with a sweeter objective than a classic, milk chocolate Hershey’s Kiss! 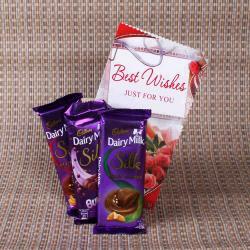 Little dollops of solid chocolate wrapped in silver foil are a heartfelt or flirtatious way to show someone how much you care. 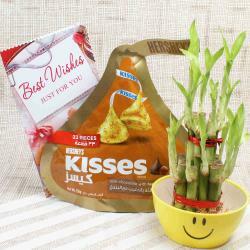 Stock up on Hershey’s Kisses for gifting, baking or snacking it contains, as the fruit and nut, raisins and almonds Keeping lucky bamboo inside houses and business places are believed to bring happiness and prosperity. Appealing, elegant and easy to grow, this 2 layer layered lucky bamboo plant is a perfect gift for your home and office as well. 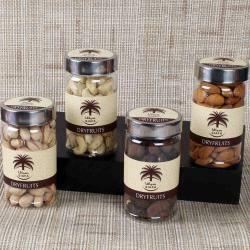 Product Consists. 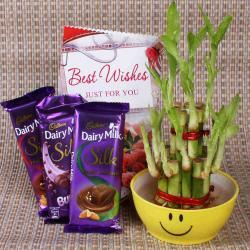 Hershey’s Kisses Chocolate (Weight: 150 gms), Cadbury Dairy Milk Silk Fruit n Nut Chocolate along with Good Luck Bamboo Plant in a smiley Bowl.